Beaphar Bogena Universal food is a complete food for soft-billed birds which includes both caged and wild birds. It is made up from berries, dried insects and crushed seeds, and has been enriched with a specially selected amount of protein, fat, minerals and vitamins. Bakery products, oils & fats, derivatives of vegetable origin, sugar, minerals, seeds, fruits, crustaceans and molluscs, insects. 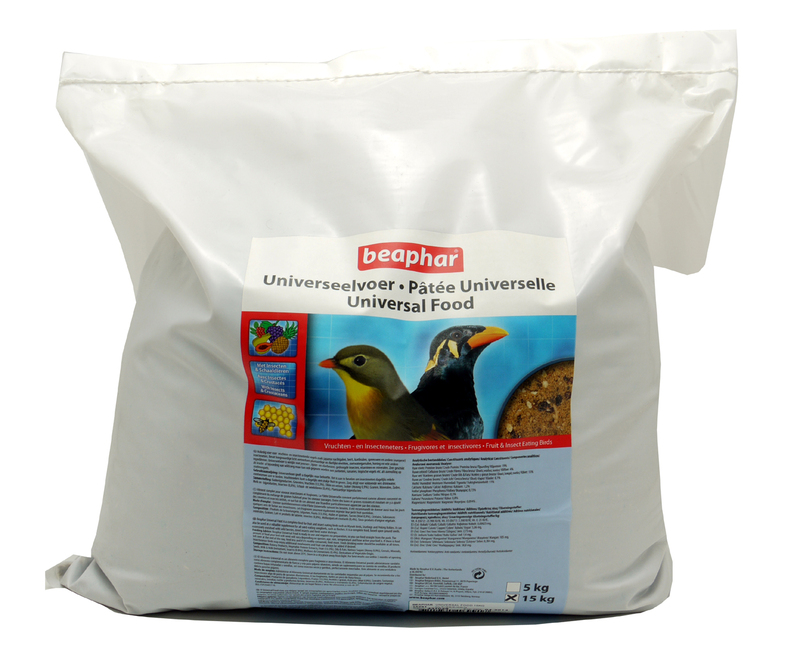 Below are some recent questions we've received regarding Beaphar Bogena Universal Bird Food, including answers from our team. Is this mix suitable to fix duprasi about 1 tablespoon per week? If you are asking about feeding the so called Fat-tailed Gerbil or Duprasi, then I would recommend that most of the diet is made up of a standard gerbil or hamster food. However you are right that it is usual to try and include some insect food in the diet. This Bogena Universal Bird Food should be acceptable, but I would give a much smaller amount every other day ideally. If you feed this just once per week, there is a chance that the gerbil would eat a lot in one go and perhaps get diarrhoea as a consequence (possibly from the fruit also contained in this mix). It is best considered as a supplement to the main food, not a main part of the diet. Little and often is my advice.